During the last week of December the hubby and I took our annual winter break trip to Starved Rock State Park located in the small town of Utica, IL. We really enjoy visiting the lodge and the park itself during the winter time and look forward to the scenic view of the park covered in snow and ice. However, we did not get ANY snow. Not one bit. This trip was the first time I had my good camera with for a Starved Rock trip so I was really hoping to get some majestic snow shots in, however many of the hiking pics ended up feeling like they were taken on a crisp fall day, not the last week of December. Regardless of the fact that snow was MIA for this trip we still very much enjoyed our stay. The lodge itself is really perfect during the winter when I look to achieve that rustic-warm-by-the-fireplace-hot-cocoa-in-hand feeling which you can literally do here. The Great Hall has a large two sided fireplace, the Dining Hall has another one and you can even have a fireplace of your own if you rent one of 4 Sunset Cabins that have one. The Dining Hall has some delicious food and I am happy to see they have incorporated more vegetarian friendly options on their menus. The Sunday Brunch Buffet is also something worth checking out. You will not walk away hungry. If you do, well, then your doing it wrong! Also, be sure to stop at the Backdoor Lounge, located near the Dining Hall for a drink. 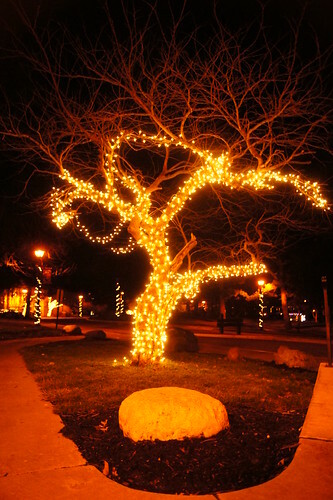 Utica, is a very small town but that’s part of it’s charm. 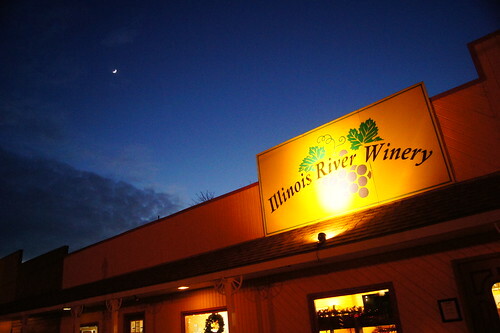 One of the places we make it a point to stop at every year is the Illinois River Winery. This year we purchased some Strawberry wine, Hallowine (a Halloween spiced apple pumpkin flavor best served warm) and one called Festiva which is very much like a champagne. The Festiva was a perfect choice with New Years Eve being right around the corner. Another one of our favorites is their Cranberry Snow which we’ve often found in local Chicago liquor stores. If you can’t make it down there in person they do make most of their wines available for online ordering. We also made a stop at Finnegan’s Bookstore in it’s new location. I’m always happy to set foot in an independently owned bookstore in this day and age. Finnegan’s has a diverse selection of new and used books in a wide variety of topics and genres. Make sure to ask for your Free Wooden Nickel! Seriously, do it. 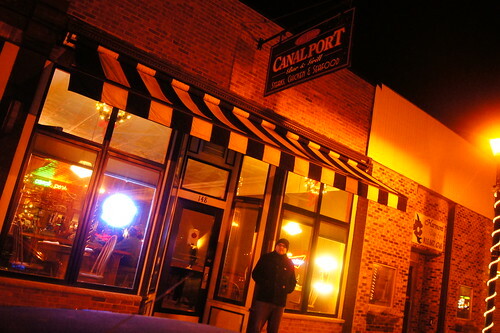 We also dined at two wonderful establishments, Canal Port and the Uptown Grill. Canal Port, also located in Utica, has some wonderfully tasty food including some the largest fried mushrooms I’ve had in quite a while. They have a wide variety of seafood, pastas, meat dishes and salads. 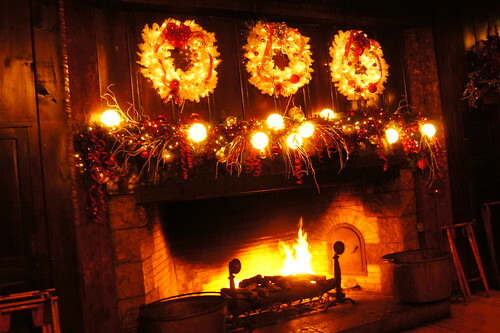 Ask for a table near the fireplace for a little extra ambiance. 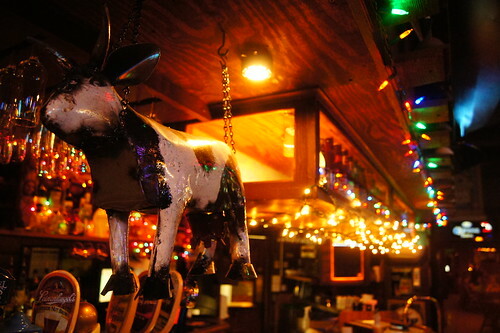 Uptown Grill is located in LaSalle which is only a short drive from Utica. 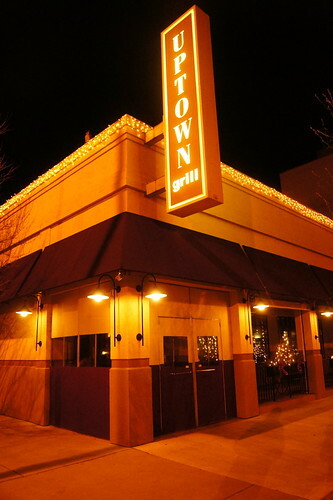 Uptown describes themselves “polished casual dining at it’s best” and I have to agree. 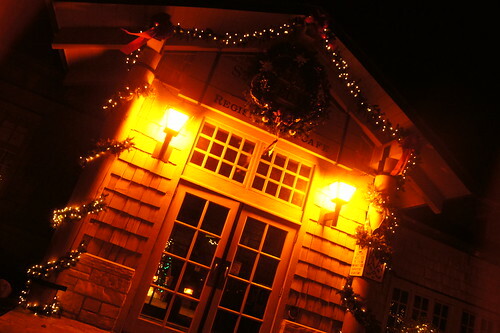 This was a really great restaurant which was decorated nicely for the holiday season. Their menu is LARGE! I ordered the Saganaki and Portobella Fajitas which were both delicious. I also ordered a drink called the Fine and Dandy which certainly lived up to it’s name. Oh and last but not least, Starved Rock State Park itself! Again, I wish we had at least a bit of snow for picture purposes but alas it did not work out that way. Regardless, the scenery was quite beautiful and relaxing. 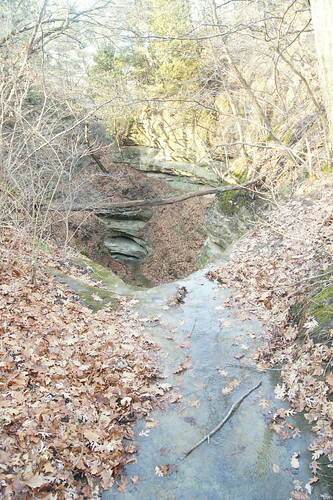 The benefit to no snow was that we were able to walk near Canyons that have been blocked with ice patches in the past. If you would like to see more pictures from our trip as always here’s the link to my Flickr set. Till next time folks and once again have a Happy New Year!